Ronaldo Vicente Rubio, Filipino-American, rose from being a battered child with autism to hav- ing successful careers as a professional dancer and teacher, musician, carpenter, martial arts sensei and fitness trainer. Now crossing two countries to speak for people with autism, Rubio has become a living testament that hav- ing a mental disability is not an obstacle to becoming productive. 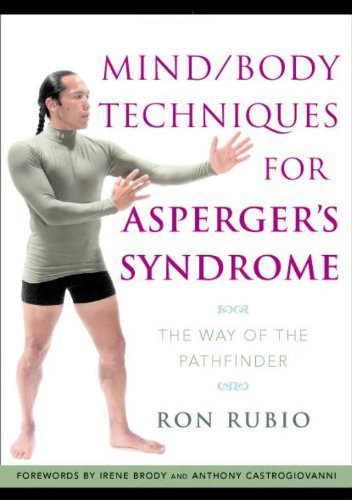 Life, however, wasn’t easy for Rubio who was diag- nosed with autism. He was emotionally bullied and physically beaten up by his father, and ridiculed by his family. “I was the black sheep of my family, the oddball. They could not figure me out. I was the clumsy, spaced out stuttering child. 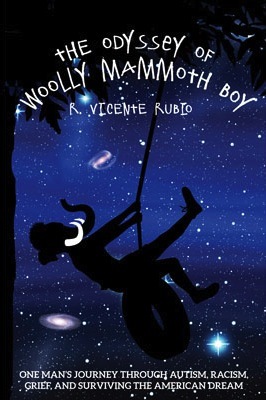 I seemed to be the wrecking ball in a jewelry store,” Rubio told CDN. As a result, he said he had very low self-esteem and had very little confidence in himself. “It did not help that my family made fun of me so often that it only reinforced my cognitive and social de- tachment,” he added. When he was 16 years old, Rubio left home and de- cided to live on his own. Having an autism spectrum, he was socially awkward and shy. Rubio was skeptical of finding any job. But needing to support himself, he persisted and got hired for a dish- washing job at nights. “When I applied for the dishwashing job, it was my ability to speak and understand the English language that secured me my first ‘on the clock’ paying job,” he recounted. Rubio was born in San Francisco, California in the late 1950s. His father came over from the Philippines by serving in the United States Navy in the mid-1950’s. His mother came over via the United States Navy as well. Rubio’s grandfather was a United States Navy veteran of WW1 and WW2 and was also the first Filipino United States Naval officer. By joining the US Navy, he said, a Filipino could gain US citizenship. Despite having a source of income as a dishwasher, Rubio still did not relate well with peers. “Though I worked and made money for me to sur- vive, I realized it all meant nothing in my world void of validation and companionship, I had very few friends,” Rubio said. “I was stuttered when I spoke and was very ‘spacey’ in my focus. I felt so useless but it was when I reached pre- teen and my teenage years that I realized how hopeless I was in trying to enjoy social interaction,” he added. He interacted with women but did not know how to behave well, so he lost his friends. He attempted to end his life when he found himself alone but realized that there is more to life than his disappointments. Instead of wallowing in misery, he decided to stand up and fight for his life. Now, he is mentoring young people and is a master teacher of mind/body health fitness and well-being for the last 30 years. He lives in the Hawaiian Islands, have had full careers as a professional dancer and teacher, musician, carpenter, a martial sensei, and fit- ness trainer. the growing autism population in the Philippines,” he said. Archbishop Emeritus of Cebu Ricardo Cardinal Vidal said people with mental disabilities should not be consid- ered an eyesore in the community. Mentally challenged individuals are not a burden but God’s gift, he added. Vidal thanked people who are taking care of mentally challenged individuals. Leah Quintana, regional information officer of the Department of Social Welfare and Development in Cen- tral Visayas, said the government does its best to provide mentally disabled individuals what they need and to make them realize their worth. Though there is a need to sharpen the programs for these people, Quintana believes they have the capacity to make the most of the skills they possess. “Despite their condition, I know they can contribute something for the society. They are trying hard to live against all odds. To us, they are an inspiration. Let us give them a chance. Let’s support them,” Quintana said. “We may differ from each other. But all of us have a purpose in this world. They are here for a reason,” she added. myself in anyone’s shoes, and relate enough to their situation be an effective teacher or mentor to them,” Rubio said. He is currently advocat- ing, training and support- ing the autism spectrum population. have autism. I only express great grati- tude that I survived my childhood and young adulthood, and I realize that I could not be effective in my work as a mentor if I did not go through what I went through,” he said. Rubio worked with the Independent Living Learning Centre (ILLC) based in Manila and Cebu. He understands that spe- cial kids in the Philippines don’t have as much oppor- tunities for working or ex- panding their abilities. “This is a big question that most governments are turning a blind eye to. There is very little being planned for the future of thousands of young people with special needs,” he said. Rubio said he has a mis- sion left unaccomplished in the Philippines. and did not choose to have autism. I only express great gratitude that I survived my childhood and young adult- hood, and I realize that I could not be effective in my work as a mentor if I did not go through what I went through. Ronaldo Vicente Rubio (Left), who has autism shows off his martial arts skills.